Colour photography did not become a commerical process until 100 years after James Clerk Maxwell first demonstrated it. 'Einstein's heroes: imagining the world through the language of mathematics. ', by R Arianrhod. (Oxford University Press, 2005). 'James Clerk Maxwell: a biography', by I Tolstoy. (Edinburgh: Canongate, 1981). 'James Clerk Maxwell: a commemoration volume. 1831-1931', by J J Thomson and others. (Cambridge University Press, 1931). (Essays by Sir J J Thomson, Max Planck, Albert Einstein and others). 'James Clerk Maxwell: physicist and natural philosopher. ', C W F Everitt. (New York: Scribner, 1975). 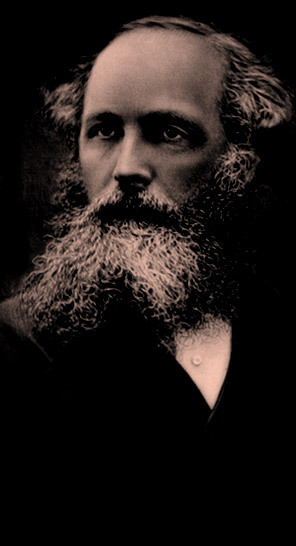 'The demon in the aether: the story of James Clerk Maxwell. ', by M Goldman. (Edinburgh: Paul Harris, 1983). 'The life of James Clerk Maxwell with a selection from his correspondence and occasional writings, and a sketch of his contributions to science. ', by L Campbell and W Garnett. (London: Macmillan, 1882). 'The man who changed everything: the life of James Clerk Maxwell. ', by Basil Mahon. (London: Wiley, 2003). 'The scientific letters and papers of James Clerk Maxwell'. Three volumes, edited by P M Harman. (Cambridge University Press, 1990-2002). Search the National Library of Scotland main catalogue for details of these titles.